IN THE LAND OF SCARABS ~ Buy now! 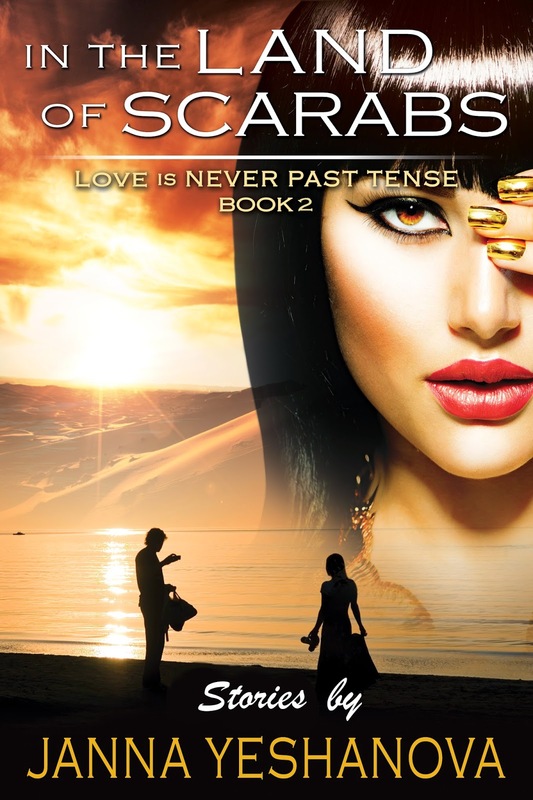 Newly reunited lovers Janna and Serge thought the world had given them another chance at happiness. After years of separation following a heartbreaking divorce and harrowing escape from post-cold-war Russia, the couple had reconnected through emails, and finally took the leap to see each other in person. Their reignited spark burns ever brighter as they enjoy an idyllic beachside vacation together in North Carolina. Once again life teaches these lovers another surprising, scary lesson. On the coast of an ocean for the first time in his life, Serge rushes into cold waves and mortal danger. He abandons Janna on the shore, leaving behind their plans for a future together. Janna is helpless watching Serge fight a cruel battle with the elements, struggling to make his way back to shore. The romantic saga continues as they travel to Egypt for new experiences. Through an impromptu arrest by customs officials, they emerge to a sun-kissed sand-dune paradise. Egypt is everything they hoped it would be and more. On a desert trek with the Bedouins they find a guide, an old friend of Serge’s from Russia. Experience this poignant tale of a love that spans decades and continents, as this amazing couple travel the world, discovering both their past and their future together. *These stories are unconventional women’s fiction, told in the uniquely Russian voice of Janna Yeshanova. Though she was forced to flee her beloved homeland, leaving a piece of her heart behind, she will always and forever be Russian. FREE, just for signing up to Janna Yeshanova’s newsletter! 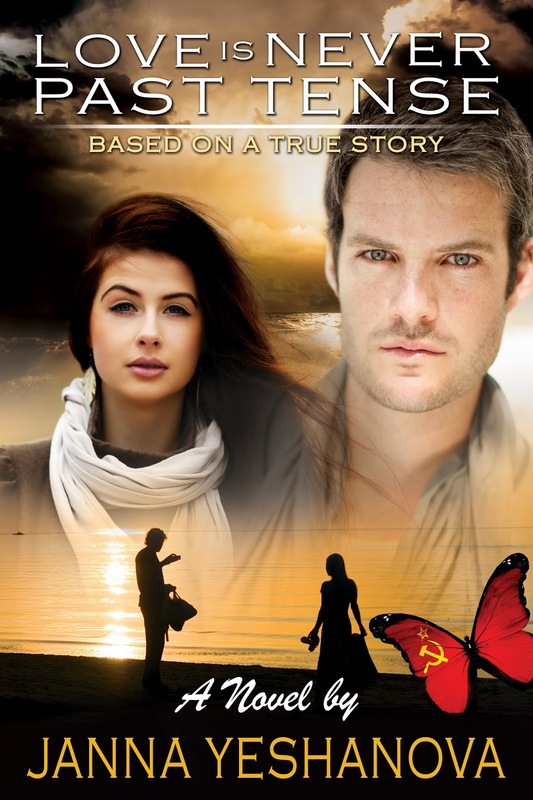 “A sensual love story set across contemporary Russian culture. It is inspiring as a reminder of passionate love beyond early youth.” – Dorothy E. Siminovitch, Ph.D., MCC, Coach, Author, Conference speaker and learning consultant. Beneath the adventure and romance is a deeper story of achieving dreams regardless of obstacles. Janna Yeshanova brings forth her personal account of courage in the face of impossible odds, her indomitable spirit, and a heart of gold that held onto a lost love for decades. Anyone who’s ever pondered the eternal question, “What makes life worth living?” can find the answer within the international romantic saga of LOVE IS NEVER PAST TENSE.